Universal Orlando Resort is the perfect place to take teenagers when you’re visiting the theme park capital of the world. With two fun and thrilling theme parks – Universal Studios Florida and Universal’s Islands of Adventure, plus vibrant nightlife at CityWalk with restaurants, music, movies and more, there is plenty to keep teens entertained! Universal Studios Florida and Universal’s Islands of Adventure are right next door to each other, so you can easily fit both parks into the same day if you want to. We have done this and it makes for an exciting day! As the mother of a 15 year old boy who’s been to Florida a couple of times now, I know exactly which rides are best suited to this age group. So I’m going to share the best rides for teenagers at Universal Orlando! This awesome ride sees you on the front lines of the intergalactic war between the Autobots and the Decepticons. You sit inside an Autobot called Evac who is helping Optimus Prime and Bumblebee to catch the AllSpark. A fight breaks out between Optimus Prime and Megatron and you are thrown this way and that! It’s a fully immersive ride, with huge screens, movement, noise, explosions – everything a thrill ride should be! Tip! Ask to sit in the front row as you line up to get into Evac – it’s the best place to sit! This ride is like nothing you’ve experienced before, and you’ll come away thinking you’ve just witnessed the next generation of theme park rides! 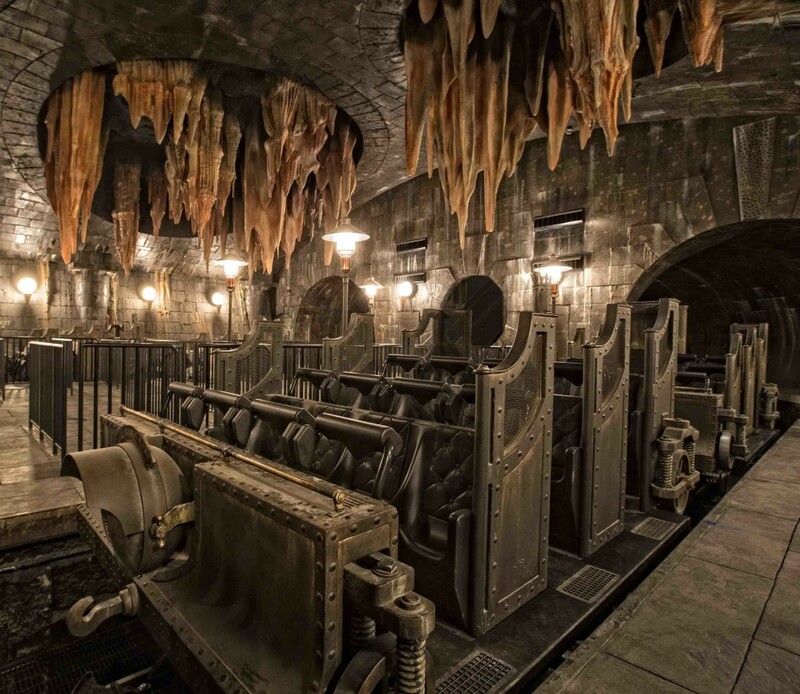 Known as a “robo-coaster”, it’s different to a traditional rollercoaster in that it can swing and swirl you in every possible direction, so you have no idea what’s going to happen next as you’re plunged through the perilous underground vaults of Gringotts Bank with all kinds of 3D surprises coming at you! Ride along with The Simpsons family as they visit Krustyland, the Krusty-est place on earth! The Simpsons Ride is a simulator with giant 80 foot screens that give you a ride through the Krustyland theme park which is essentially falling to pieces! You are sat in a rollercoaster type car which moves about, and combined with the on-screen action you really do feel like you are flying and dropping! A fun ride! Tip! Sit in the back row of the car – the view is better! A shoot ’em up in real life, with aliens? What more could a teenager want from a ride! You are taken through to be recruited as an MIB Agent, but as part of your training, an alien prison ship lands and you have to take out the aliens! Tip! Push the red button at the end for bonus points! With speeds of up to 65mph and towering 17 stories over Universal Studios you can’t help but be thrilled by this rollercoaster! You pick your own soundtrack to rock along to as the ride takes you on this thrilling adventure, with six near-misses and a the world’s first non-inverting loop! Tip! You can edit your ride into a music video to buy and show to your friends and family! A theme park full of epic adventure with uniquely themed islands bringing your favourite comic book heroes, myths and cartoons to life. It’s also the home to The Wizarding World of Harry Potter – a must for any fan of the boy who lived! This is one of my teen’s favourite rides, in fact, as a family, it’s one of our favourite rides too! The ride set up is similar to TRANSFORMERS: The Ride-3D, but featuring Spider-Man and a cast of supervillains including Doctor Octopus, Scream and Hydro-Man. You ride in a news gathering car called ‘Scoop’ and are suddenly caught up as the supervillains steal the Statue of Liberty. Crashes, explosions, drops and a huge fireball makes this ride TOTALLY AWESOME! Tip! The front row of ‘Scoop’ is the best row! A ride based on the dinosaur movie Jurassic Park, you travel the rivers through the Jurassic jungle to see the dinosaurs in their natural surroundings. This is a ride where you will get wet, so it’s best not to take a camera on board with you – or if you do, make sure it is waterproof! Tip! The drop is near vertical – brace yourselves for a big splash! This coaster looks AMAZING. We’ve not been brave enough to try it yet, but the lines for it tell me it’s a popular ride! With seven inversions, including a zero-G roll, a cobra roll, two vertical loops and two corkscrews, it is 2 minutes and 15 seconds of thrilling adventure! Tip! With speeds of up to 67 mph, hold on tight!! 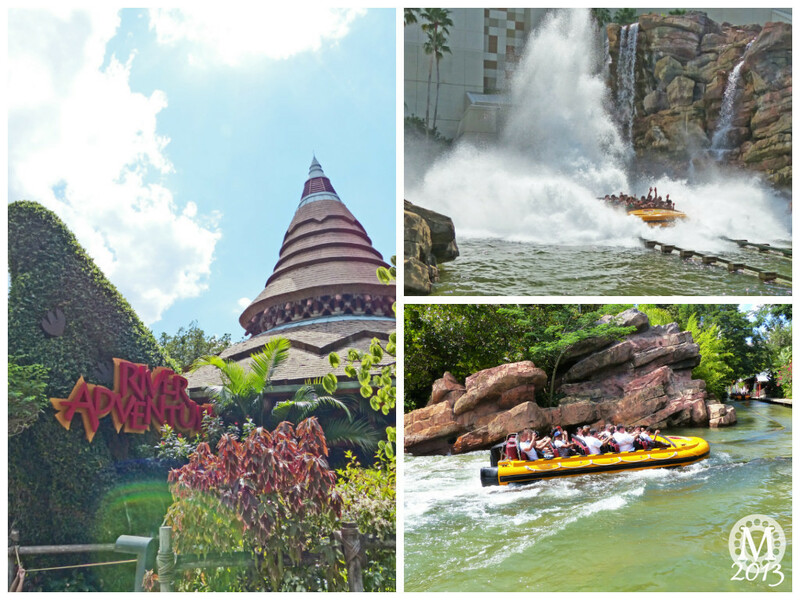 These are just some of the fab rides at Universal Orlando – I haven’t been able to talk about them all – nor the attractions and shows that are also great fun for teens. I’ll save those for another time! 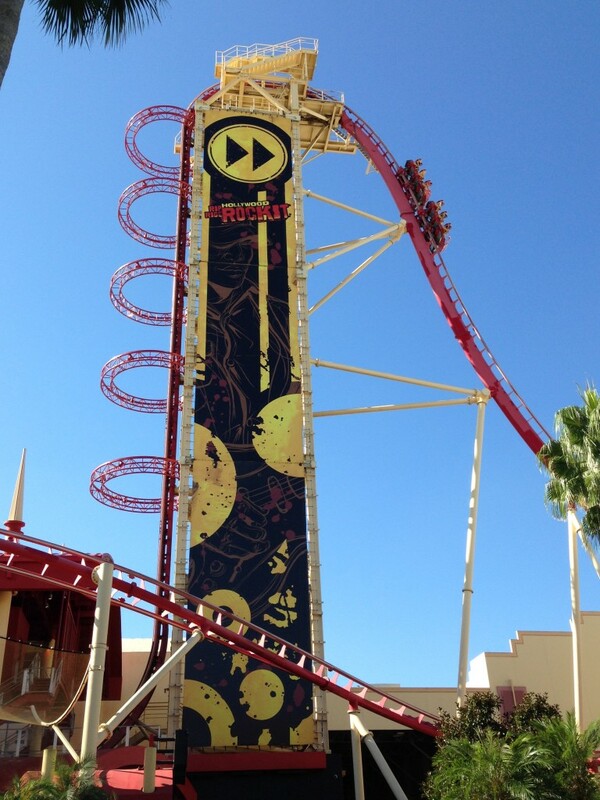 When you visit Universal Orlando with your teenager, make sure that they check out these rides first. I guarantee they won’t be disappointed! Want to book tickets for Universal Orlando? It always pays to book your tickets before you go – make sure you check prices and select the best tickets for your family on our Universal Tickets page. 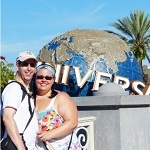 Michelle has been to Orlando twice with her husband and teenage son, and is planning their third trip. Since her first visit in 2011, she has lived and breathed the adventure that is a holiday to central Florida, and you can find her sharing her trip reports, planning notes, tips and free printables at thepurplepumpkinblog.co.uk.